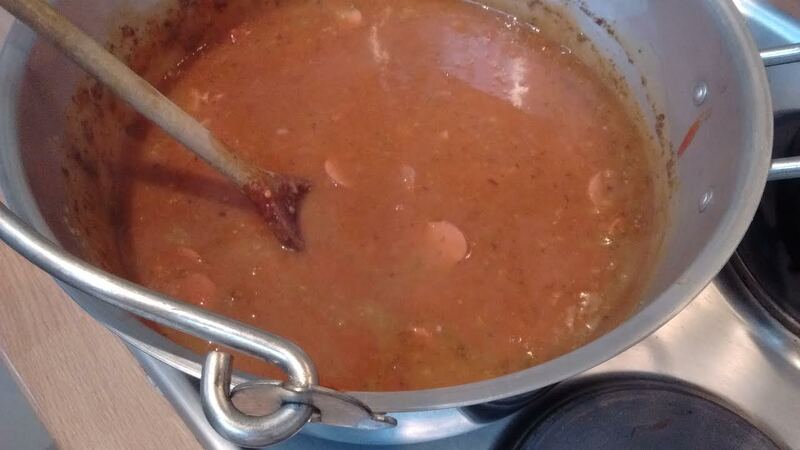 Harira is a traditional Moroccan soup often used to break fast during Ramadan. 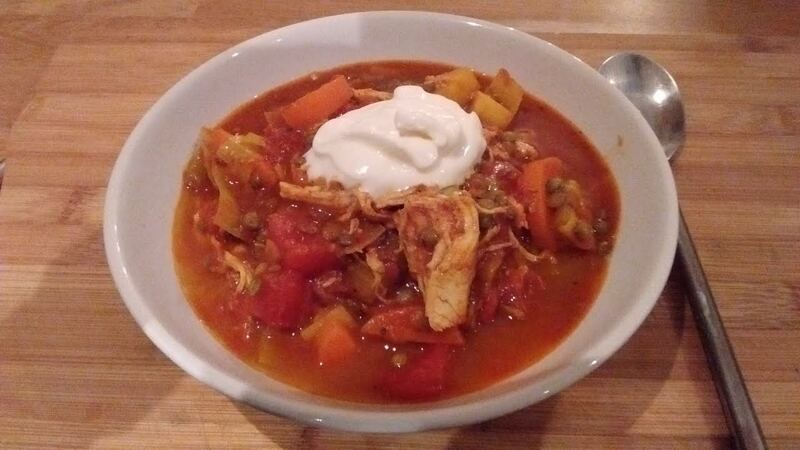 There are lots of variations, this recipe uses chicken and lentils along with vegetables. 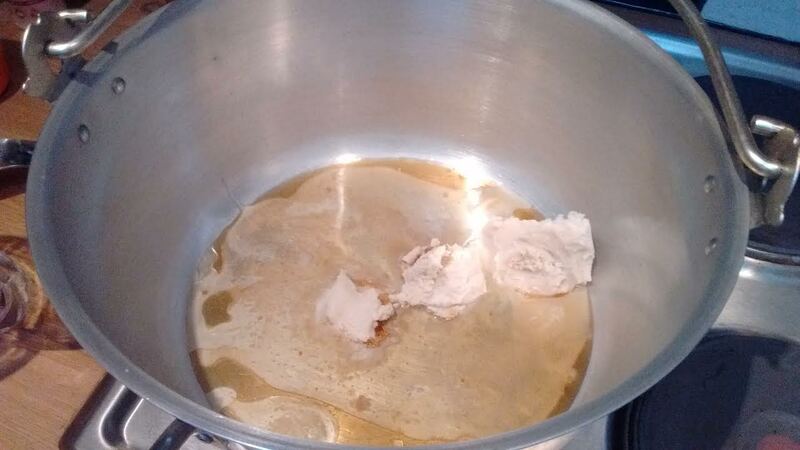 In a large pan brown off the chicken breasts in some oil. When done, remove the chicken and set aside. Pour 300ml of water into the pan and de-glaze it. Pour this water out and set aside also. 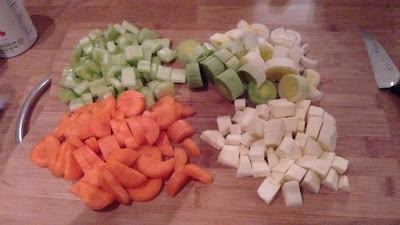 Cut the celery, carrot, leek and parsnip into bite-sized pieces. Saute the vegetables in some more oil until they start to soften (about 5 minutes). 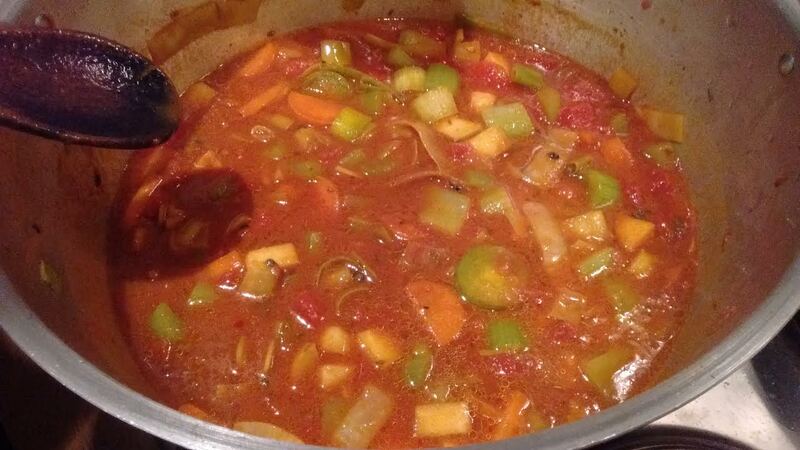 Now add the harissa, tomatoes, stock cubes, lentils, chicken water and chicken. 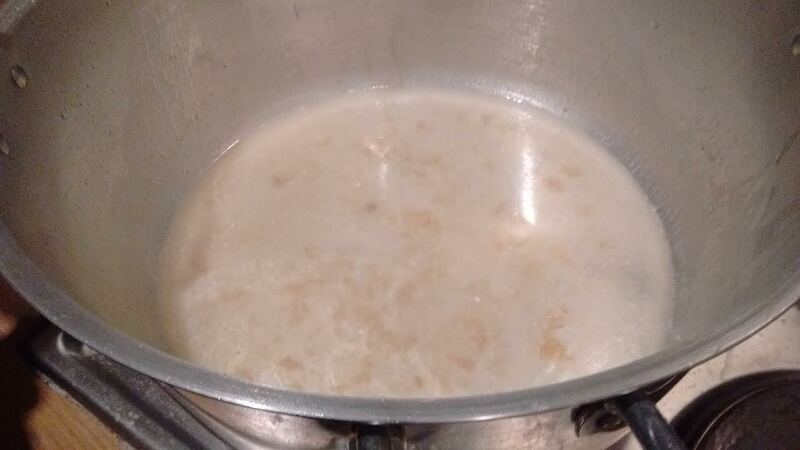 Add another 300ml of water and give it a good stir. Simmer for 30 minutes. 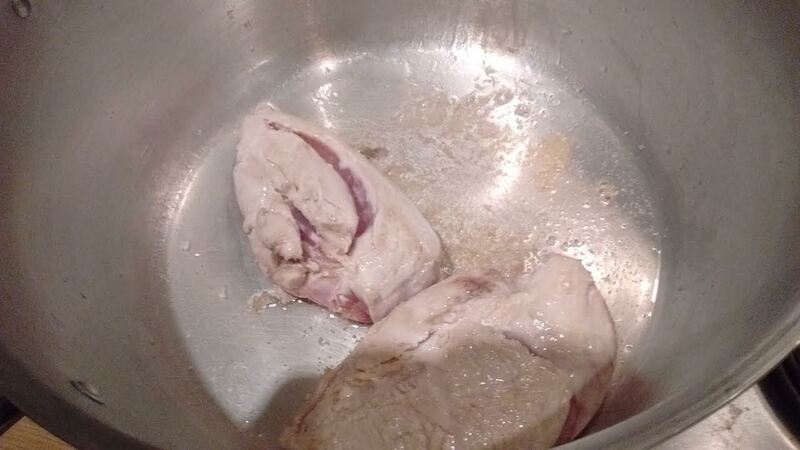 Remove the chicken and shred it using two forks. 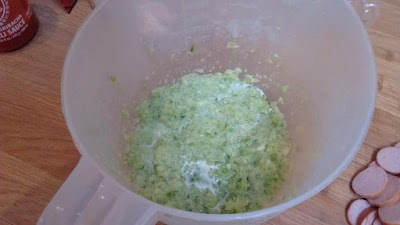 Return to the pan along with the juice and zest from the lemon plus the sugar. Season to taste with salt & pepper. Serve with a dollop of yoghurt. We really enjoyed this one. 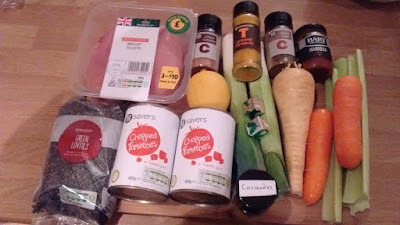 I was expecting it to be a bit hotter with all the spices but it was quite mild in taste. 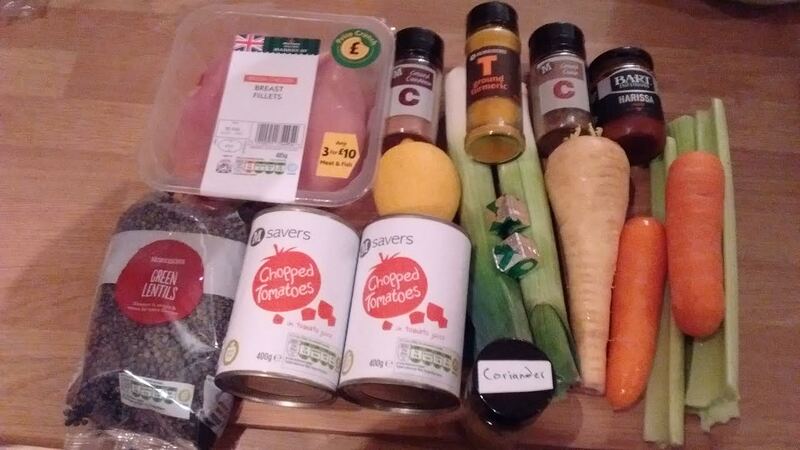 It was full of flavour though. 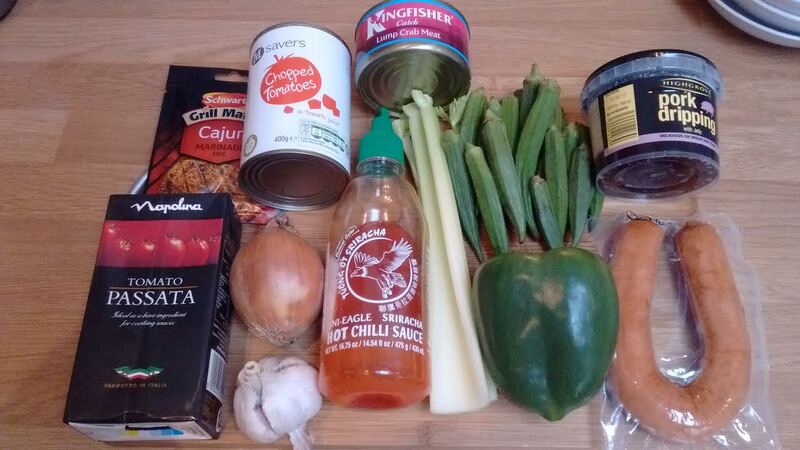 Harissa is a great ingredient giving a sharp zing to the soup but not too much. 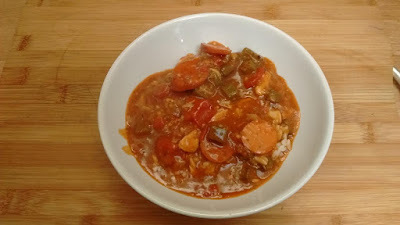 The yoghurt is a lovely addition making each spoonful creamy but I think the soup could do without the lentils as they didn't add much. Still, an overall lovely warming soup with some Moroccan spice! 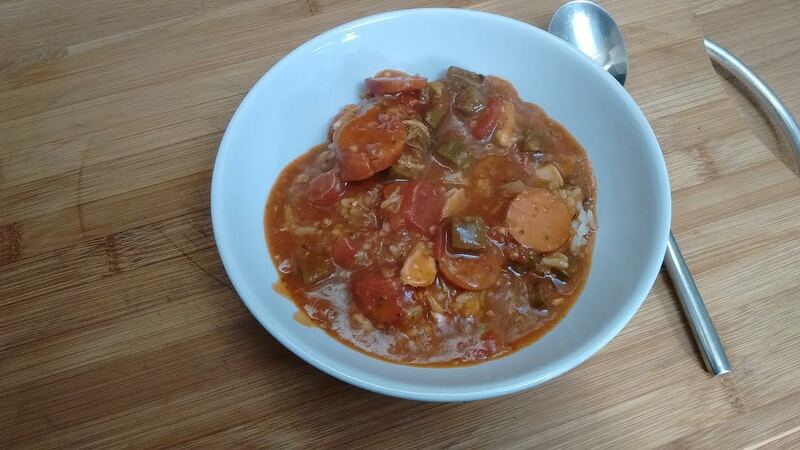 Gumbo comes in many forms depending on the region it's made in. 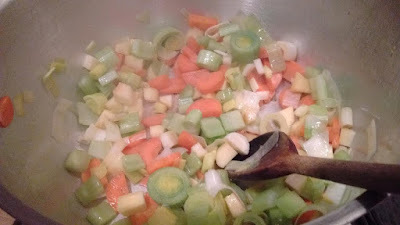 It always has the Holy Trinity of vegetables (celery, onion and bell pepper), some form of thickener (in this case roux), okra and some meat or fish of some kind. It's usually served over rice and looks delicious! 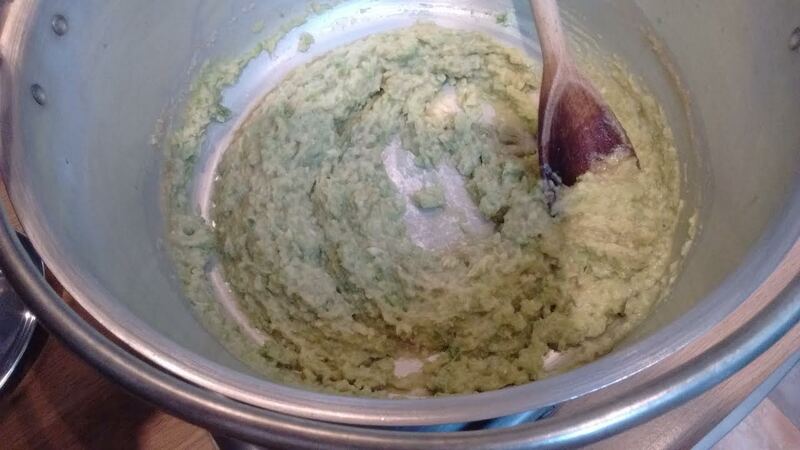 To start with, make a roux from 3/4 of the dripping plus the flour. 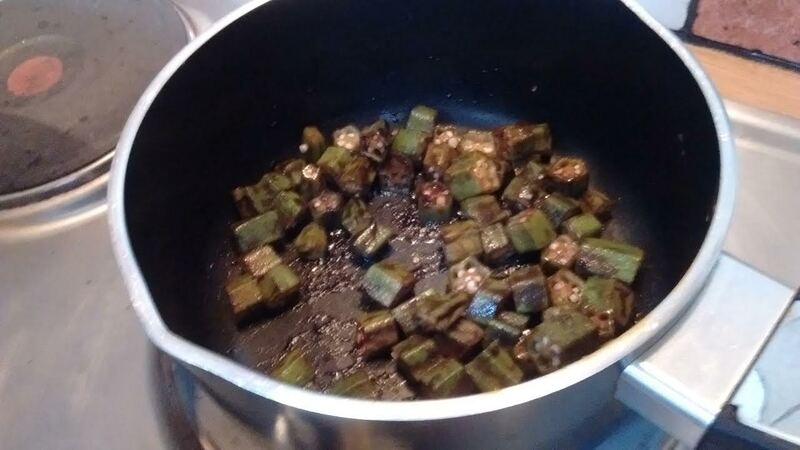 Stir it well while slowly cooking it until it is a golden brown colour. Remove from the heat and continue to stir as it cools. 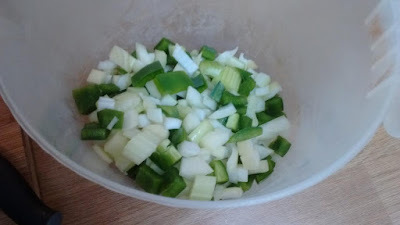 Now cut up the celery, pepper, onion and garlic. 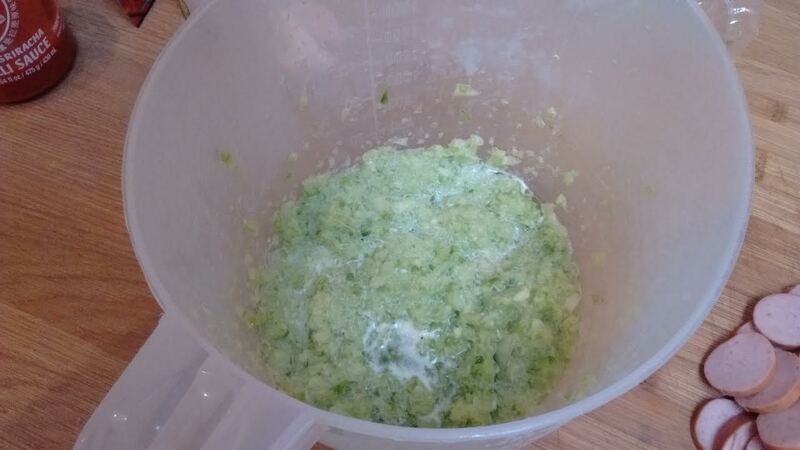 Place in a bowl/jug and blitz it with an immersion blender until it's all finely chopped. 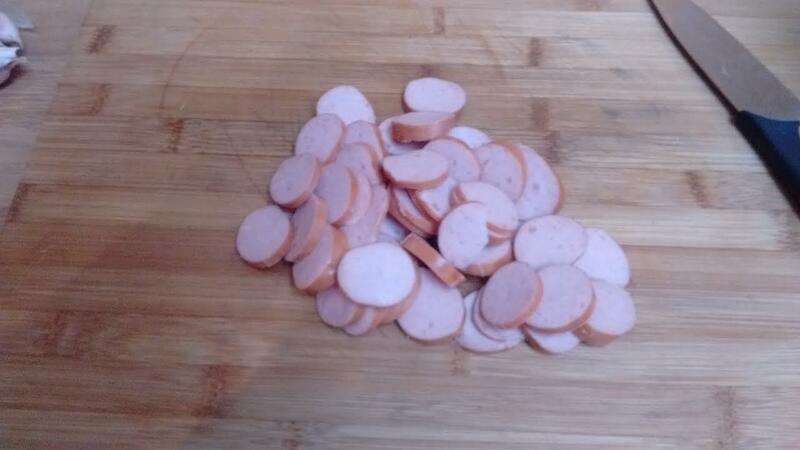 Cut the sausage into thin slices. Return the roux to the heat and stir in the Holy Trinty of vegetables plus the sausage. Carry on stirring and slowly cooking for 10-15 minutes. Make up the stock with the water and slowly add a bit at a time to the roux mixture making sure it's blended well before adding a bit more. Now add the tomatoes, passata, sugar, salt, Cajun seasoning, hot sauce and bay leaves. 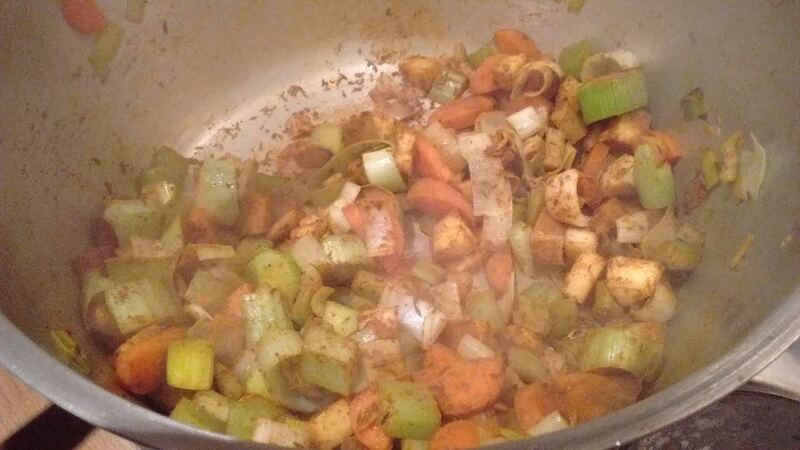 Simmer for about an hour. 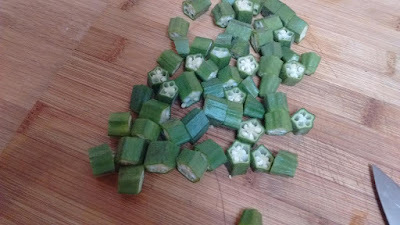 Cut up the okra into small bite sized pieces. Cook the okra in a pan with the remaining dripping plus a tablespoon of vinegar. Then add it to the gumbo along with the crab meat. Cook for a further 10 minutes. Serve over some rice and tuck in!